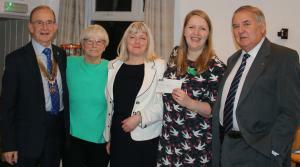 Tom Jordan Bursary Award "“ Presentation Evening. 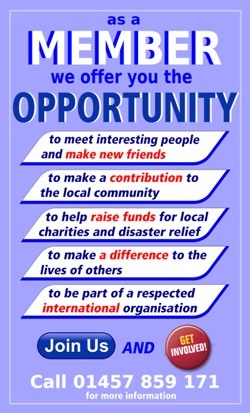 Rotary Club of Glossop - welcome! Please scroll/swipe down through this page to find out more about us, in addition to the pages linked in the menu, top-left. 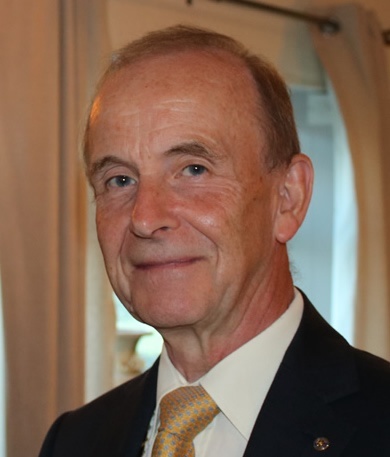 My name is Paul Scullion and I am proud to become the Club President of Glossop Rotary Club in our 80th year. 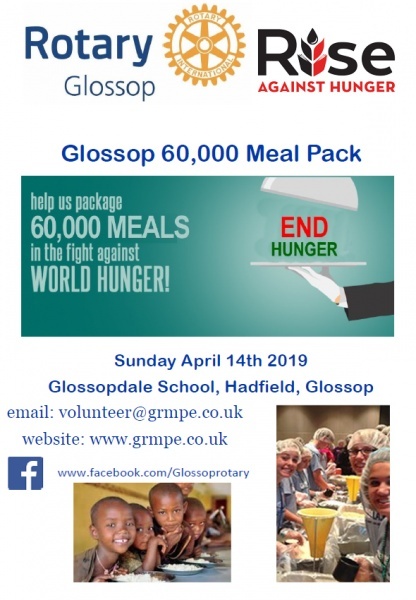 I have lived in Glossop all my life and this opportunity to give something back to our community whilst enjoying the company of a very special team of people is a privilege. My wife, Annette, has always been there for me and supports everything the club undertakes. 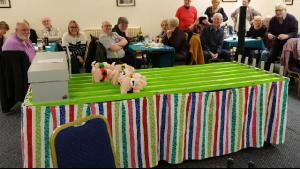 She is also a member of the Glossop Inner Wheel club who help us stage many of our events. I would sincerely like to thank Past President Karen for her sterling work last year and her excellent initiative on researching the clubs wishes. As our first lady member and President, Karen brought us into the modern world. Last year we awarded many donations to local and international charities and held our second technology challenge for our local schools. I hope that I can maintain Karen’s commitment to service in our community. Our club theme for this year is “work hard and play hard”. Rotary’s primary aim is the eradication of polio and we have spent over $1,800,000,000 in the past 30 years to achieve this end. We are almost there. 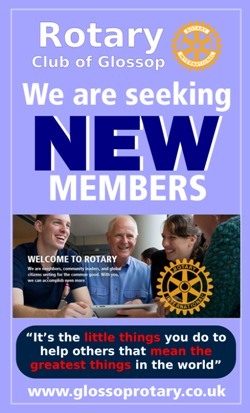 The Rotary movement (R.I.) has over 1,200,000 members throughout the world, with over 50,000 in the UK. One of Glossop club’s newest initiatives is the provision of mosquito nets and a number of new projects from "Jobs in a box" to Wateraid. We are also, for the first time, holding a Santa Fun Run in December! Locally we have provided a range of support from small grants to local groups and charities to staging projects for the benefit of our young people. Please visit our “What we do” pages to review the many projects we do and have undertaken. We also have a Club Facebook page which is updated weekly and where you can follow our news items - what we have done, are doing and plan to do. Click the link here to view and see what we're up to. We also have a club Flickr page with lots of pictures from our activities. Please click here to see our activities. We have a "˜Donate Button"™ below through which you can still make personal donations to our Trust Fund Account, and which is used to make our the donations to the local, National and Global Charities which we support. Thanks to everyone for supporting our 2018 Glossop Jog on the 7th October in aid of Macmillan. The weather was kind to us and there were perfect jogging conditions on the day. For an hour the streets were filled with runners raising money for Macmillan. There were 225 sponsored runners from 14 schools and businesses, and we had a total of over 300 runners on the day. 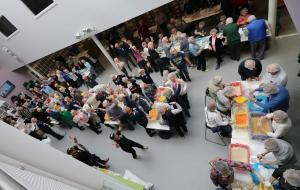 Also a big thank you to all the helpers without whom we could not hold the event. Purple4Polio crocusses in Manor Park, Glossop as 17th February. 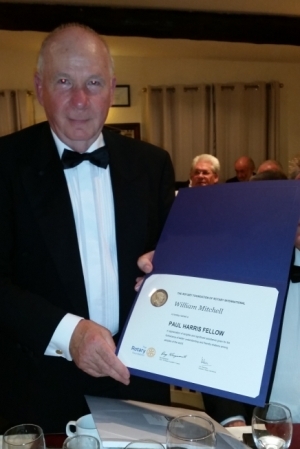 At the 2015 Charter Evening, the highest award the Club can bestow, the prestigious Paul Harris Fellowship Award, was presented to fellow Rotarian Bill Mitchell for his exceptional services working to help relieve poverty in Africa through a little known Charity "“ "˜Tools for Self Reliance"™. For 17 years Bill quietly, unassumingly and selflessly collected unwanted tools donated by local (and not so local) people, for refurbishment and onward transport to African Countries, to help people in those countries, build sustainable livelihoods, bring about effective and sustainable change to trades people and their communities, so helping to reduce poverty. Sadly, Bill recently lost his battle against Cancer "“ a great loss to the Club, to his family and of his Charity work. However, the work which Bill began in Glossop for "˜Tools for Self Reliance"™ will continue "“ a fine and fitting legacy by which to remember Bill. 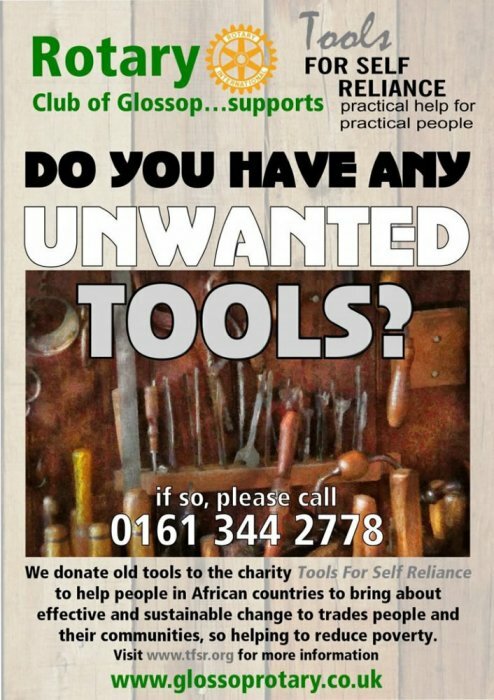 Please note the new telephone contact number on the poster below and if you do have any unwanted tools to donate, please contact us.